The first company was formed in May 1896 and was Captained by James Curr of Larkhall. We know this as it was reported in the Hamilton advertiser on 4th December 1954 that Mr James Curr of Larkhall, who was captain of the first B.B. company to be started in Stonehouse in May 1896, presented the colours which were received by Captain Ian Crosbie and re-dedicated by the chaplain, the Rev. W.R.F. McGhie, B.D. On Sunday, in the Church of Scotland, the new company attended morning worship at which the service of enrolment and dedication took place. The Rev. W.R.F. McGhie conducted the service and preached a stirring and inspiring sermon. There was a large congregation present and as thhis was the first public occasion of the new company and they are to be congratulated on their smart appearance. The colour party carried out their duties efficiently and well. Music and praise were appropriately chosen and Mr Ian Robison presided at the organ. 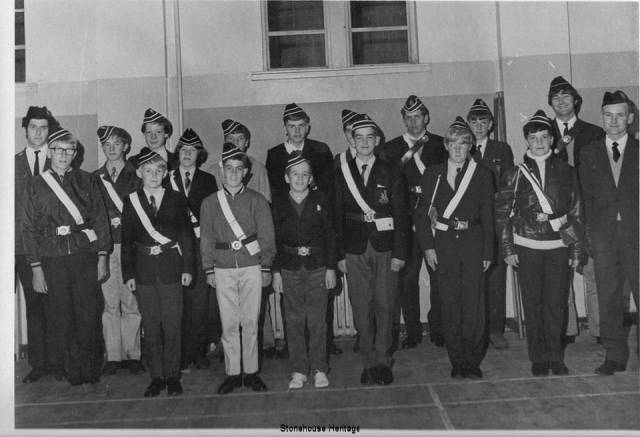 Not much is known about the early brigade however we do know that the Boys Brigade used the hall at Townhead School up till 1956 when the hall at St Ninians church opened. The average number of boys attending was between 28 to 32 however in some years it peaked at 45. 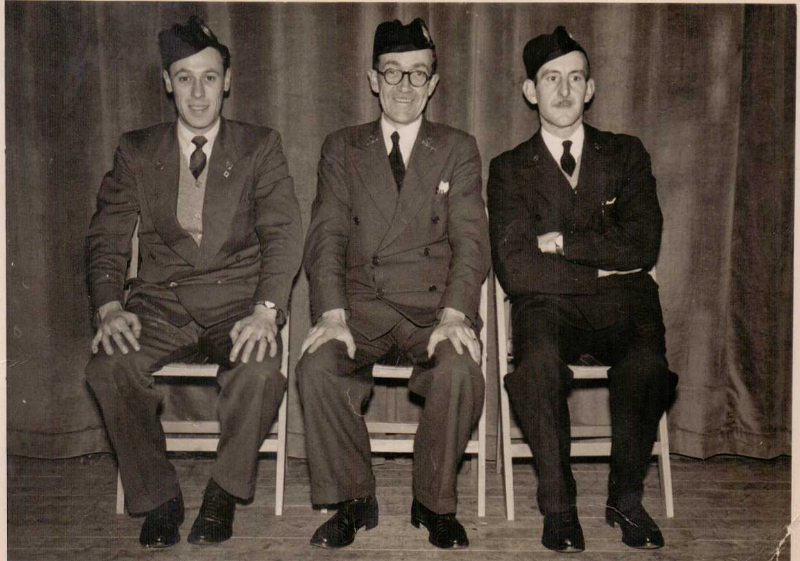 The heydays of the company were around 1958-1959 when company camps were organised. The brigade camped locally at Candermill above Strathaven and marched to the site pushing barrow loads of tents and equipment. Other trips within Scotland included Girvan. Foreign trips were also organised with two separate trips to Denmark which involved getting a train to Dover. Captain Ian Crosby, assisted by Walter Murdoch who went on to become captain at a later date. Jackie Thomson was Lieutenant assisted by Jimmy Anderson Warrant Officer and Mr McGee minister. Other Officers who assisted over the years were Bert Fleming, Kenny Twaddle, Tom Riddoch, Alec Reid, Bert Struthers, Campbell Thomson, Jack Young, Dixon Gemmel. The styles of the uniforms changed around 1990, the main change being from the pillbox hat to the glengarry style with a blue shirt and tie. 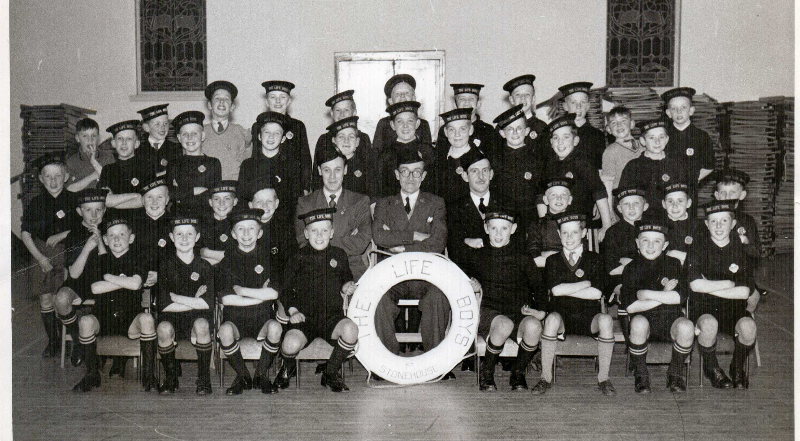 The Lifeboys were the junior division of the Boys Brigade, however not a lot is currently known about them. currently we don’t know when they started, if it was around the same time as the boys brigade was set up or much later.